The Silver Kookaburra is the longest-running silver bullion coin series from the Perth Mint, the oldest operating mint in Australia. The coins are coveted by both investors and collectors for their .999 purity of silver content and the ever-changing design themes of the coin series. 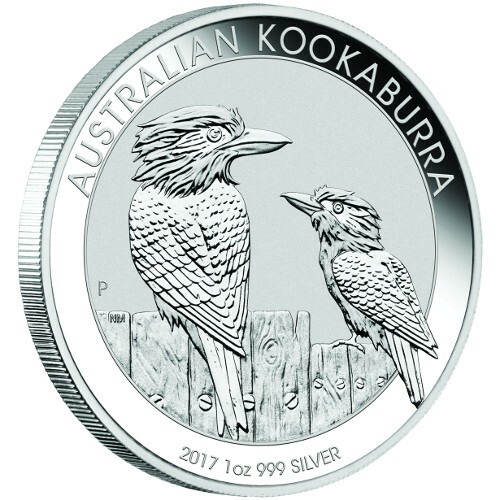 Right now, the 2017 1 oz Silver Australian Kookaburra Coin is available online at Silver.com. 28th design from the Perth Mint. Mintage limited to 500,000 coins only! Reverse includes the latest Kookaburra design. Each 2017 1 oz Silver Australian Kookaburra Coin in this product listing is in BU condition. Coins in this condition show no signs of wear and tear on the surfaces, though you may notice the presence of minor flaws ranging from breaks in the luster and spotted surfaces to contact marks from the coining process. Silver Kookaburra coins debuted from the Perth Mint in 1990, making them the longest running silver bullion offering from the mint. These coins are not just the longest running coins, they are also responsible for the increase in popularity of Australian Wildlife-themed bullion coins from the Perth Mint. The Silver Koala and Silver Kangaroo can thank the Kookaburra for their popularity. On the obverse of the 2017 1 oz Silver Australian Kookaburra Coin you’ll find the image of Queen Elizabeth II. Created in 1998 by Ian Rank-Broadley and depicted in right-profile relief, this is the fourth-generation image of Her Majesty developed since her ascension to the British throne in 1952. 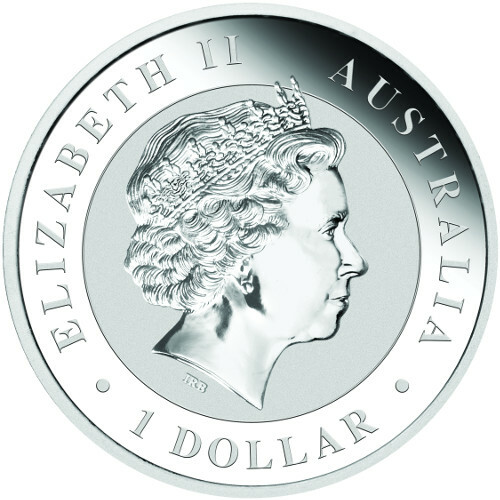 The reverse of the Silver Kookaburra features a new design each year. While the theme always remains focused on the kookaburra, the exact design aspect each year change to feature the animal in a different setting. This year’s iconic new design depicts a pair of kookaburras sitting on the top of an uneven fence line. Kookaburras are the largest of the kingfisher species of birds and are endemic to the Australian continent. Located throughout the continent, the birds are noticeable in the wild thanks to their distinct call, which mimics the sound of human laughter. The Perth Mint is Australia’s oldest operating mint, founded in 1899. Originally part of the British Royal Mint system, today the Perth Mint is owned by the state of Western Australia and its coins enjoy legal tender status under the Currency Act of 1965. If you have any questions, please don’t hesitate to contact Silver.com. You can reach our customer service team on the phone at 888-989-7223, online through our live web chat, and via our email address.